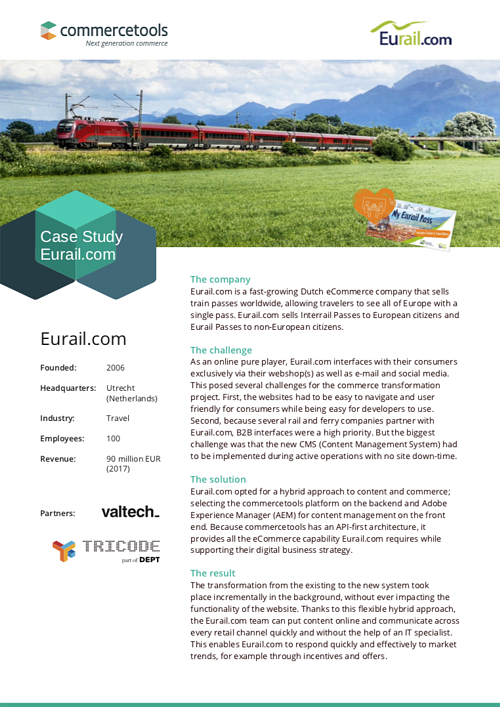 Setting the course again: As a pureplayer, Eurail.com handles all end customer relations online. Thus, structure, usability backend usability and interface handling are key. Only option: Microservices. State-of-the-art API connectivity ensures seamless integration of business partners such as train companies or hotels. The platform can now be individually shaped according to requirements in the individual countries.